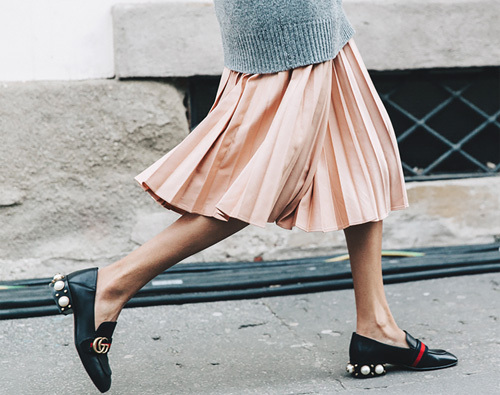 One of next spring's best silhouettes is the pleated skirt--and it's one I can easily/happily wear now. I'm going to team it with more tomboyish (read: unexpected) pieces to make it look less precious and more fresh--think hoodies like this and this and oversized sweaters such as this one and this one. Skirts I love include these by Kenzo, Tory Burch, Haute Hippie, Gucci, and Asos.